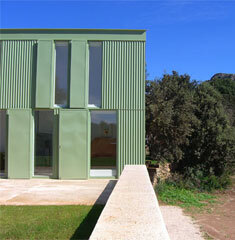 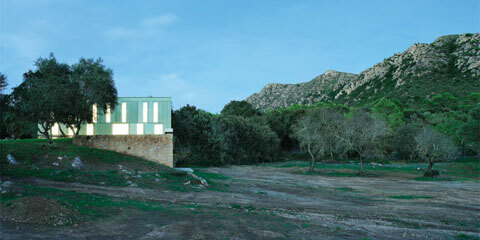 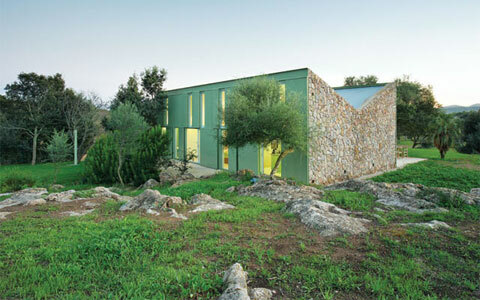 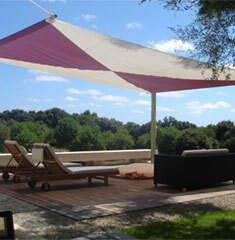 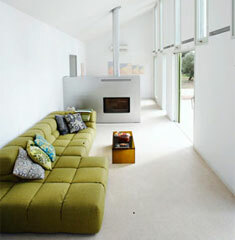 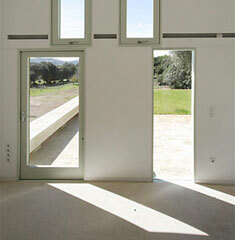 Herreros Arquitectos designed this unusual country house in Mallorca, Spain, with a steel shell that protects the house. 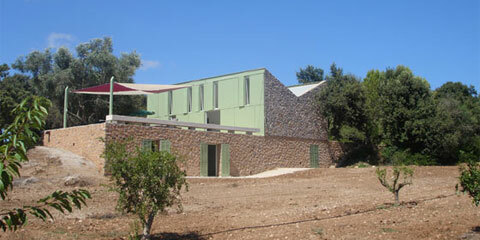 The house uses an existing stone wall from an old house. 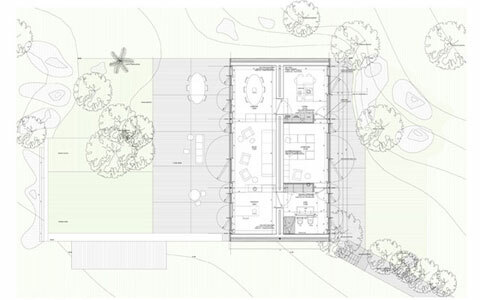 The house is divided in two parts: one part is oriented north and contains the kitchen, the bedroom and the bathroom; the other part is oriented south and contains the living room and the studio.